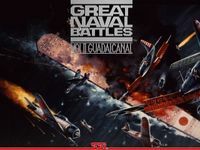 Great Naval Battles is a series of computer games by Strategic Simulations which simulate combat between naval vessels. It consist of five separate games, four of which depict various phases of World War II. Each game combines a wider view of the action on a fleet scale, as well as controls for individual ships.